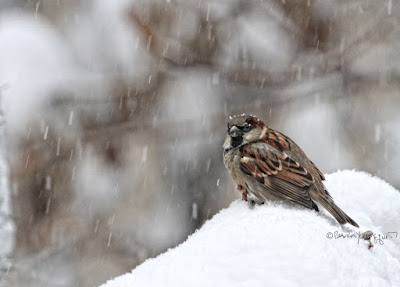 On this day in 1817, Henry David Thoreau was born in the town of Concord Massachusetts. 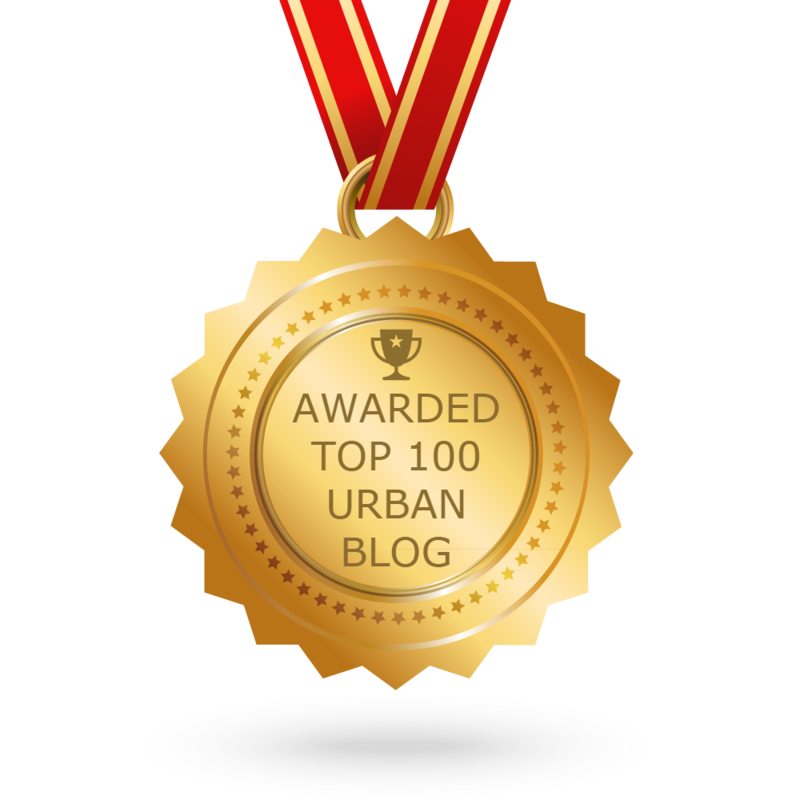 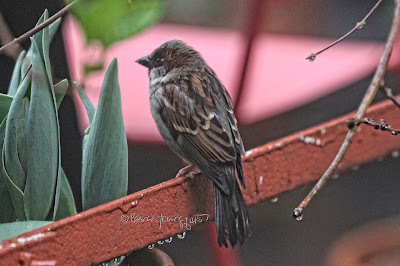 I have written about him a number of times here on Blogger, and if you'd like to refer to those posts, please click here. 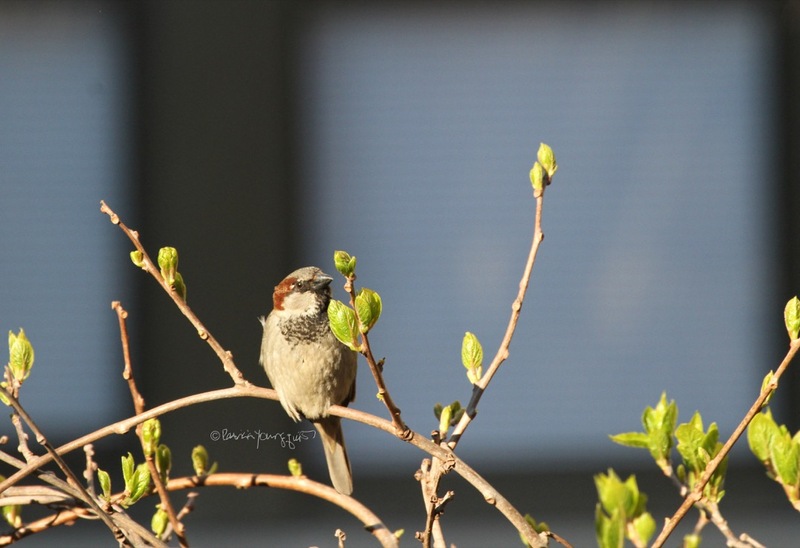 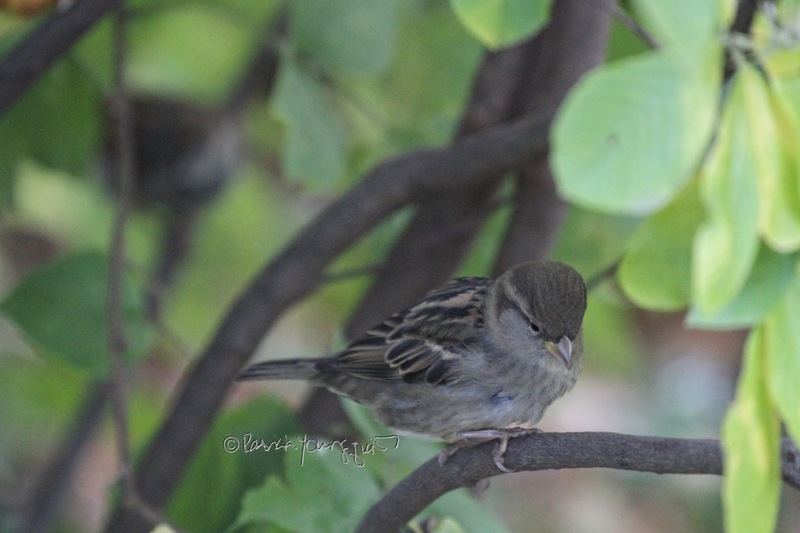 I think of the wisdom shown in Thoreau's writings on many occasions, but even more so when I encounter a house sparrow, which happens on countless occasions, given the number of this bird type that are living in NYC. The six photographs atop this entry feature sparrows alighting atop various flora as well as various places (during all season) in my rooftop garden. 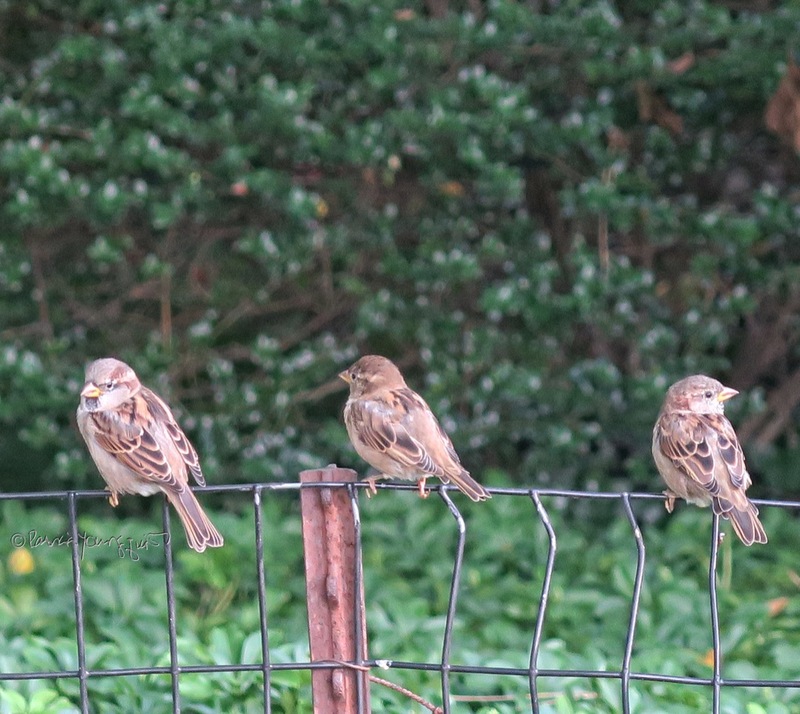 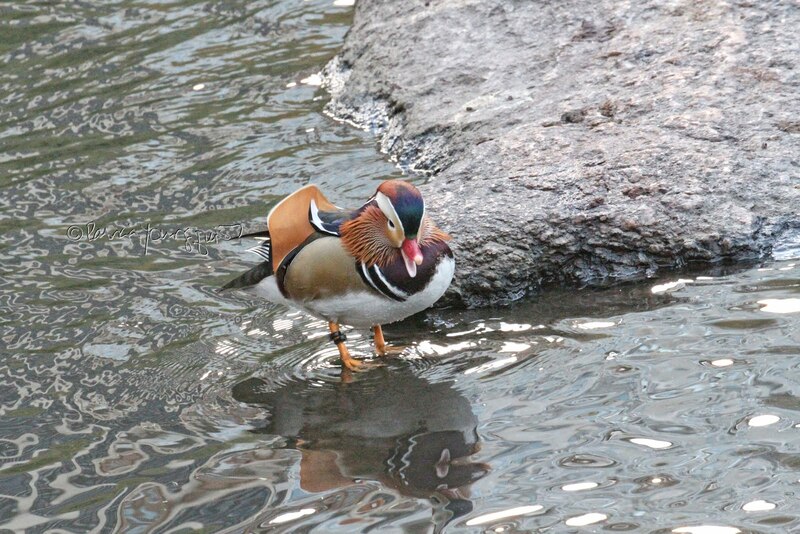 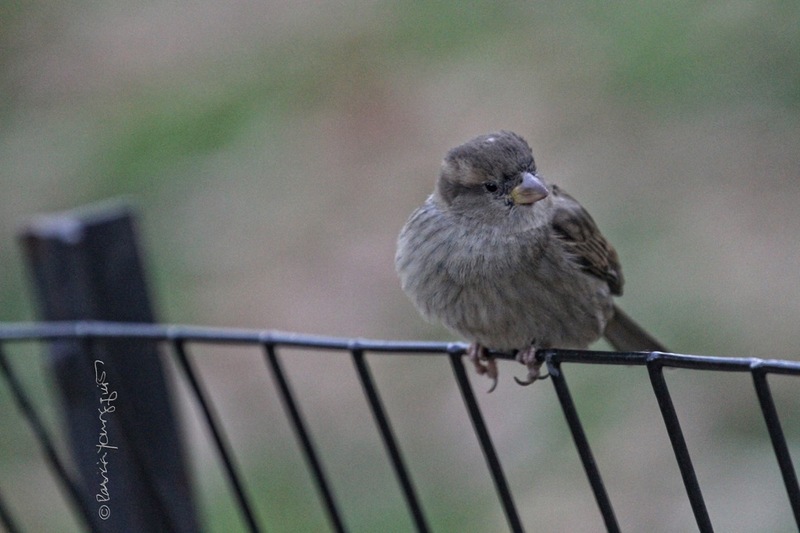 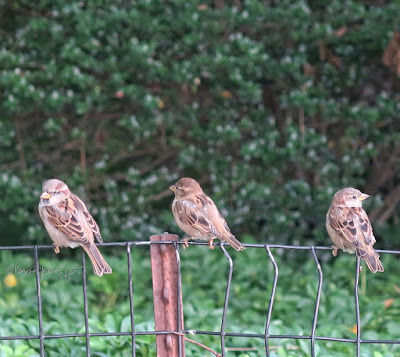 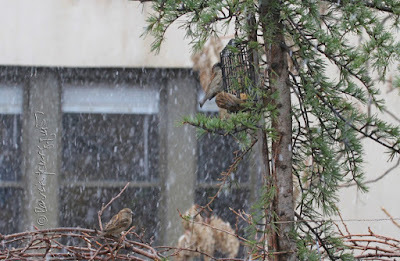 The next set of images feature sparrows alighting on an array of spots in Central Park. Although I've never had the pleasure of having a sparrow alight on my shoulder, even for a moment, whenever I see one alight anywhere, especially within my garden, I too, feel "distinguished by that circumstance." One of the most recent times that I observed a sparrow alighting upon a place in my garden was this past Sunday, when I noticed a sparrow alighting upon a wreath-style bird feeder that is placed in the northeast corner of my garden, as seen in the following picture. 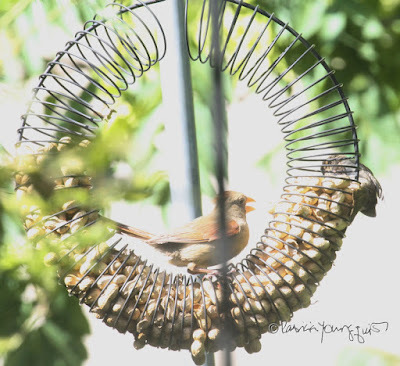 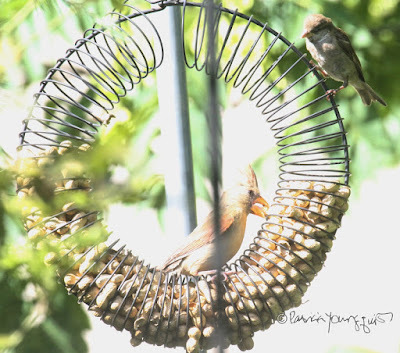 The sweet sparrow seems to be doing some birding, for her eyes are intent on a lovely cardinal who is availing herself of one of many peanuts that is placed in this feeder. 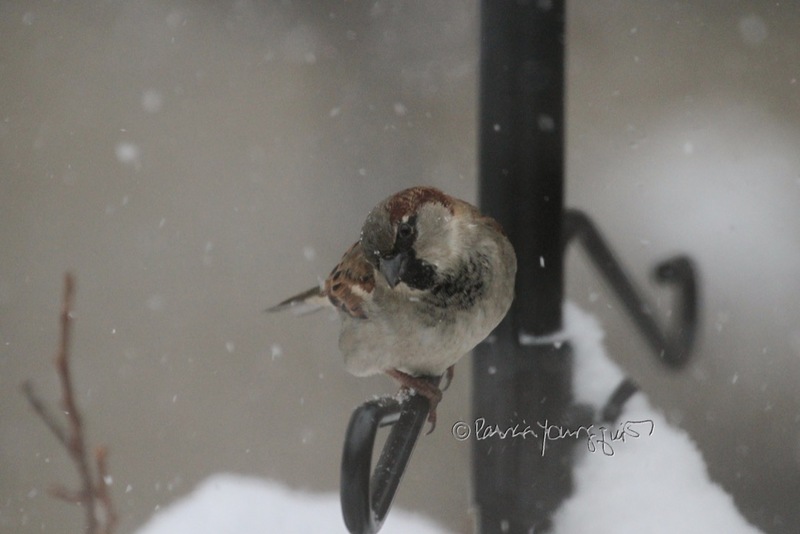 However, the cardinal did not seem to enjoy being scrutinized by the sparrow as evidenced in the photo directly below. As you can see, this cardinal appears to be "shouting" at the sparrow, who has moved from her viewing spot, and is now peering at the cardinal from the right side of the feeder (midway in this image). 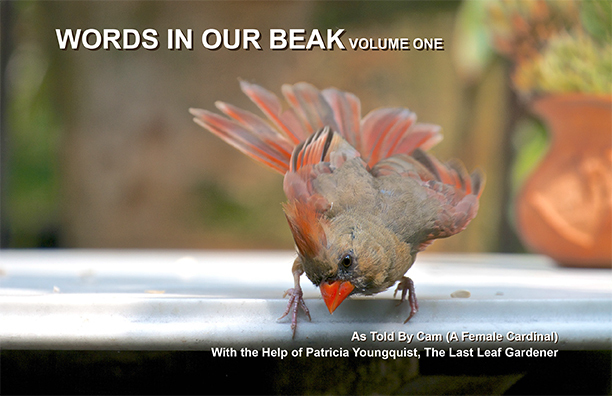 Be that as it may, there is one cardinal who is extremely empathetic when it comes to sparrows, and that is Cam, pictured below in an image that features the cover of her book, Words In Our Beak Volume One. In her story, Cam reveals her sympathy for the way Saint Matthew references sparrows, especially when he stated,"Fear ye not, therefore; ye are of more value than many sparrows." Thankfully, Thoreau valued this little creature! 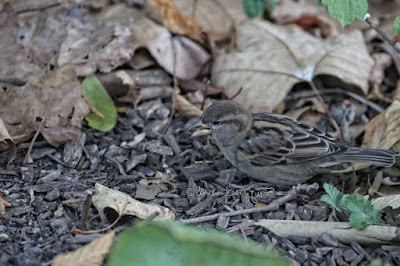 Therefore, on the birthday of Henry David Thoreau, it seems appropriate to be reminded of this fact. 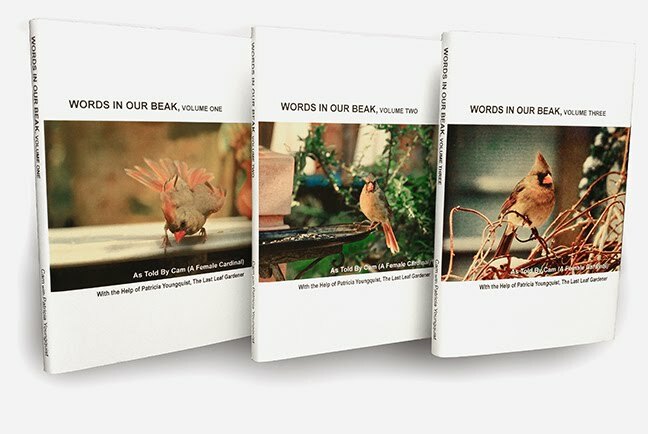 ADDENDUM: At this moment, May 2018, volumes one of the Words In Our Beak series is still available on MagCloud. 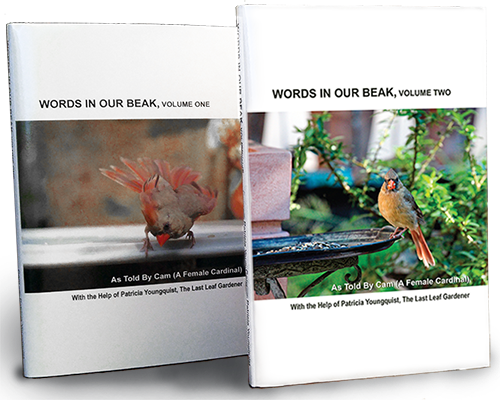 Additionally volume two of the series has been published and both volumes are available in hardcover format (as seen below) and are available wherever books are sold.